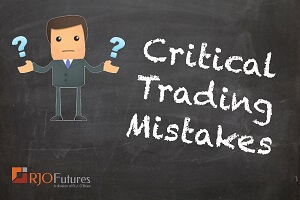 Avoid the critical mistakes in this business of trading. Be a student of the markets and focus on mastering the basics of trading for profit while managing risk. Most amateurs take unlimited risks for limited gains, this is not a good business strategy. Learn from the mistakes that you make in the market and be persistent. Trading with a proven strategy can reduce these critical errors.